Over 7,000 people have already placed deposits to pre-order the car. We now know how much it will cost to buy Polestar’s first car, the Polestar 1. The plug-in hybrid coupe will list from $155,000 in the U.S., or €155,000 in Europe. It will still be some time until customers can receive the car, however, as “pre-production testing” at Polestar’s plant in Chengdu, China, will not begin under the end of this year. The pricing confirmation comes after Polestar already opened pre-orders to prospective customers in 18 countries (several European nations, North America, and China). For a $2,500 or €2,500 refundable deposit, customers could reserve a place on the list to buy the new model. Polestar reports that more than 7,000 people placed those deposits. The pricing figure places the Polestar 1 firmly in the luxury-car realm, though its lofty price tag was not unexpected. For comparison to other similar cars, note that the Tesla Model S P100D (which is all-electric, not a PHEV) starts from $135,000, while the Porsche Panamera 4 E-Hybrid starts at $99,600. Polestar also plans to launch a subscription program for the 1, which like the Care By Volvo packages for the new XC40, will likely bundle the car payment, insurance costs, and maintenance into one lump sum. In addition to the ultra-sleek design we’ve already seen, both when the car was introduced in Geneva and when a recent video showed a prototype testing in the Arctic Circle, the Polestar 1 will have a powerful, advanced drivetrain. A plug-in hybrid, it will feature a turbocharged and supercharged 2.0-liter gasoline engine that powers the front wheels, plus a 34-kilowatt-hour battery pack and two electric motors to drive the rear wheels. It’s expected to return 93 miles (150 kilometers) of all-electric driving range, plus total output ratings of 600 horsepower and 737 pound-feet of torque. The Polestar 1 will be a 2+2, meaning seating for four, and Polestar describes it as an, “Electric Performance Hybrid GT,” likely signaling that there will be equal focuses on luxury and sportiness from behind the wheel. The car rides on a version of the Scalable Product Architecture platform (SPA) already used for the Volvo XC60, XC90, S90, and V90. And as to handling chops, Polestar has said the 1 will feature Öhlins dampers, Akebono six-pistons front brakes, and 21-inch wheels. Annual production of the Polestar 1 is rumored to be limited to only about 500 cars, primarily because the process of building the carbon-fiber body and steel chassis is so complicated. 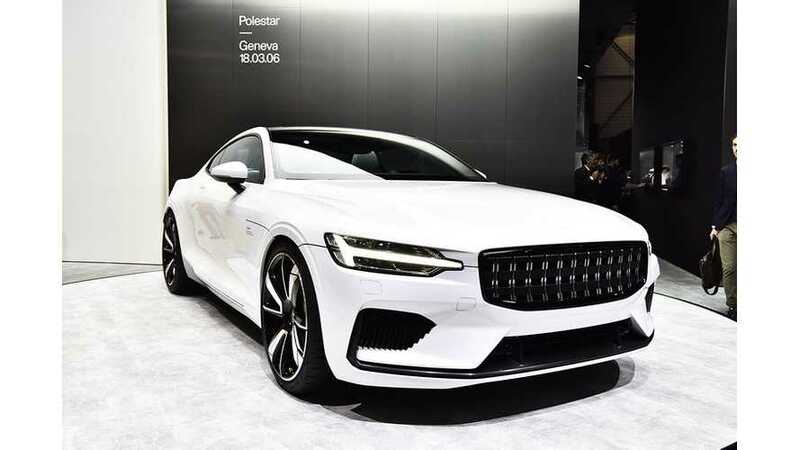 Pricing for the Polestar 1 has now been confirmed as 1.45 million RMB in China, 155,000 euros in Europe and $155 000 in the United States, giving customers a clear understanding of where the Polestar 1 sits in the marketplace. Details of Polestar’s all-inclusive subscription pricing will be confirmed at a later date.